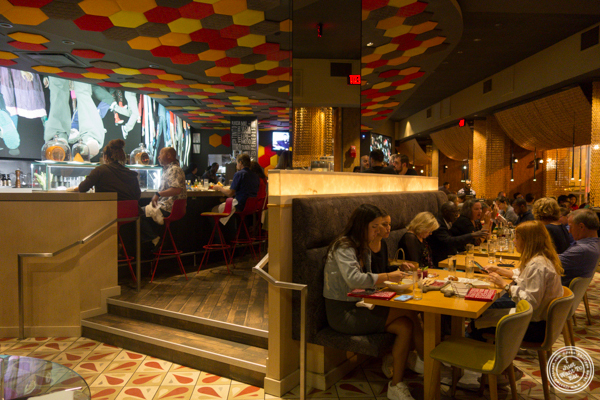 Meaning “fuss” in Spanish, Jaleo is a Spanish tapas restaurant of acclaimed Chef José Andrés that I discovered few years ago on Top Chef and while dining in its other DC restaurant, Zaytinya that we also visited during our trip to the capital. Jaleo is a little jewel, with an incredible menu that can be a bit overwhelming, having many choices to pick for the vegetarians and carnivores. But do not think you can just show up on a Friday night for dinner: reservation is highly recommended. Pan de cristal con tomate: it is simply slices of bread brushed with fresh tomato. Yes, simple but delicious. Queso Massimo Del Rey Silo con magaya de sigra: taking its name from the King Silo of Asturias, this is an Asturian raw-cow milk cheese cured for 4 months, specially made for Chef Andrés and Jaleo. This was fantastic, and in fact, I ate it with the pan con tomate, the two pairing well together. It was served with pressed cider apples that I however did not really like. 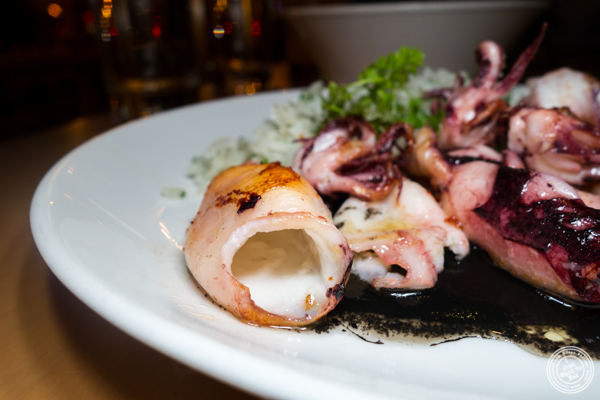 Calamares en su tinta: basque style squid with rice and squid ink sauce. I was really looking forward to that dish that was superb: the calamari was perfectly cooked, not rubbery, and the squid ink sauce was thick with a bold flavor that was nice with the calamari but also the rice that was slightly fried. Setas al ajillo or sautéed button mushrooms in a garlic and white wine sauce. It was my least favorite dish: I found it just ok, with too much garlic. In a smaller quantity it would have been fine maybe. Tortilla de patatas al momento: Spanish omelet with onions and potato. A classic dish, I was wondering where the mayonnaise that is often served with it was. There was no need for it: it was delightfully runny, the onions and potato adding some texture to it. Iberico de bellotta mini hamburguesas or Spanish slider made with iberico porc and bacon. I am always hesitating when ordering sliders because they can quickly turn dry. Not this one, from the delicious bread to the juicy patty. If they made this a whole burger, they would make a killing! Last was dessert. I admit that I was a bit disappointed not to see any churros as this is a classic Spanish dessert. 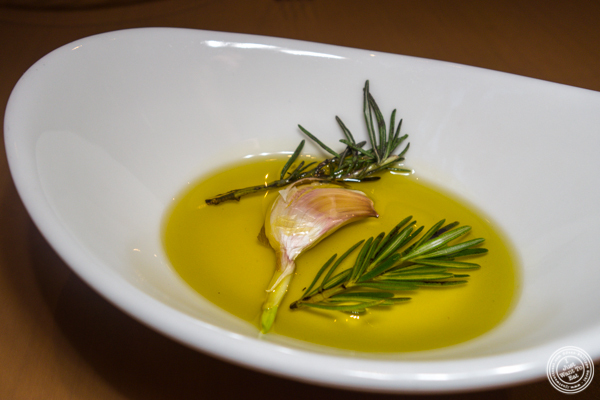 But maybe that is why Chef Andrés does not put it on the menu: too classic. So we ended up with their arroz con lèche “tia chita“ that is their version of rice pudding, also a classic dessert, made with caramelized rice and creamy rice pudding with vanilla, lemon and cinnamon. The description looked fantastic and I was expecting a dish that looked like a crème brûlée, the top being caramelized. But it was not the case. I enjoyed the caramelized rice but there was not enough; the rice pudding could have been sweeter and the lemon gave an off taste to the dish. Too bad. Despite this, we have a wonderful meal at Jaleo. If you are in DC and like tapas (or never had any), I highly recommend it!